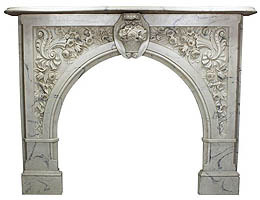 A Louis XV Style White and Veined Carrara Color Cultured Cast-Marble Fireplace Mantel. 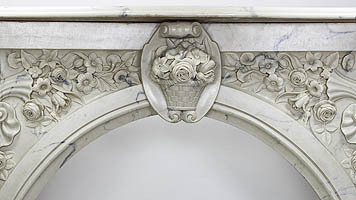 The ornately detailed mantel centered with a basket of flowers flanked by floral and shell themes. 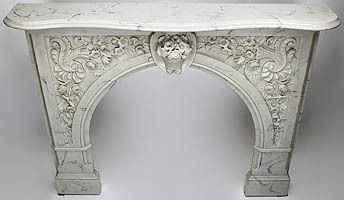 Circa: 20th Century. 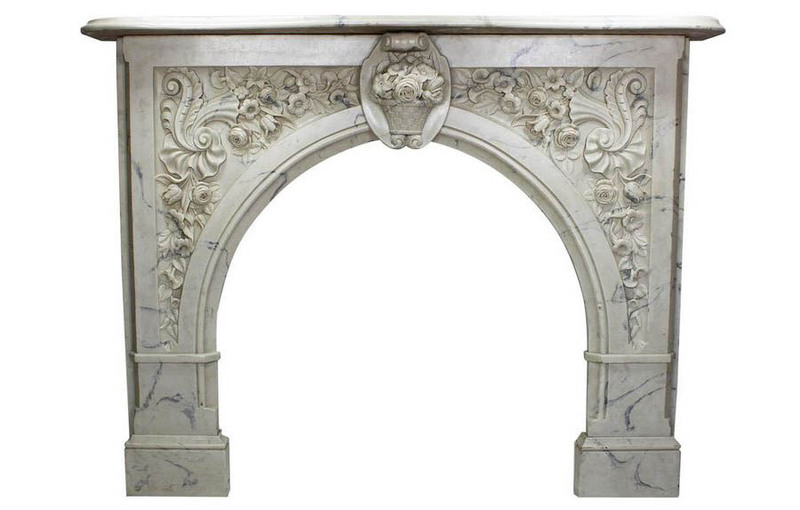 A Louis XV Style White and Veined Carrara Color Cultured* Cast-Marble Fireplace Mantel. 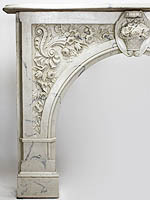 The ornately detailed mantel centered with a basket of flowers flanked by floral and shell themes. Circa: 20th Century.